For this week's "Jen's Cards," I'm sharing an ultra-modern design using both a palm leaf stamp and a confetti or polka dot embossing folder. I love how masculine and cool this card feels. Have you checked out all of this month's cards? I share a new card each Wednesday. 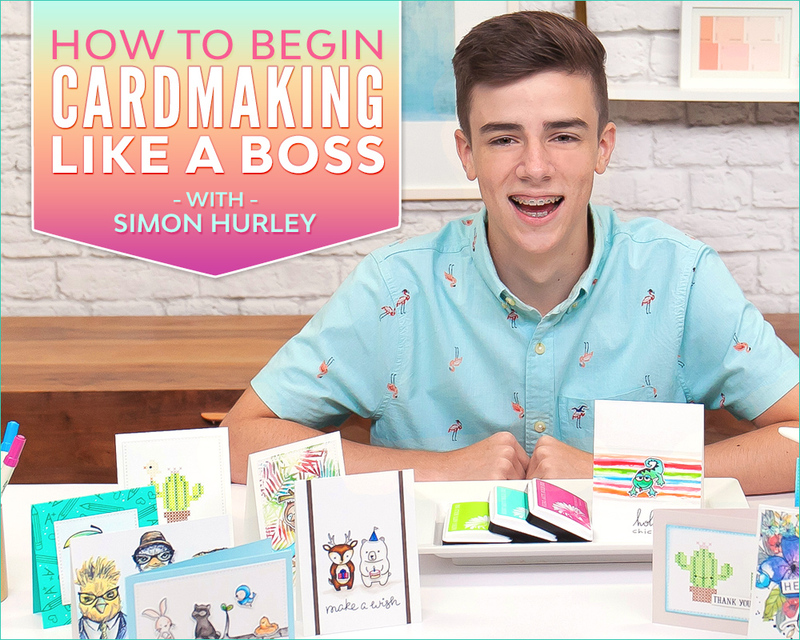 You'll want to check them all out as each one has a new design using white embossed card backgrounds. To create this card, I used the palm leaf stamp to stamp dark aqua/teal ink onto a sheet of cardstock. This forms the top of my card. 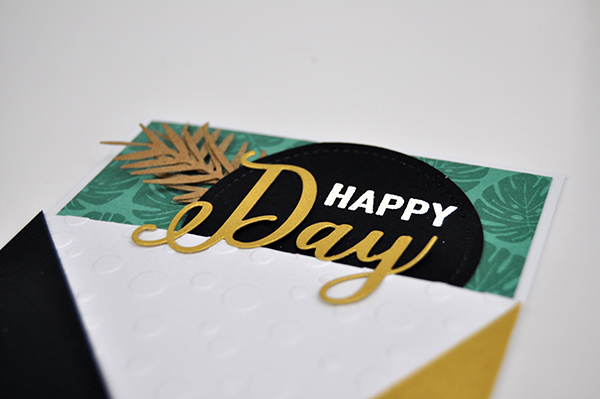 I added a few thin palm leaves in kraft to the card and then embossed the word "HAPPY" white white embossing powder on the top of a black, die cut circle. The word "DAY" is cut from gold, shimmer paper. The bottom is a bunch of triangle pieces. 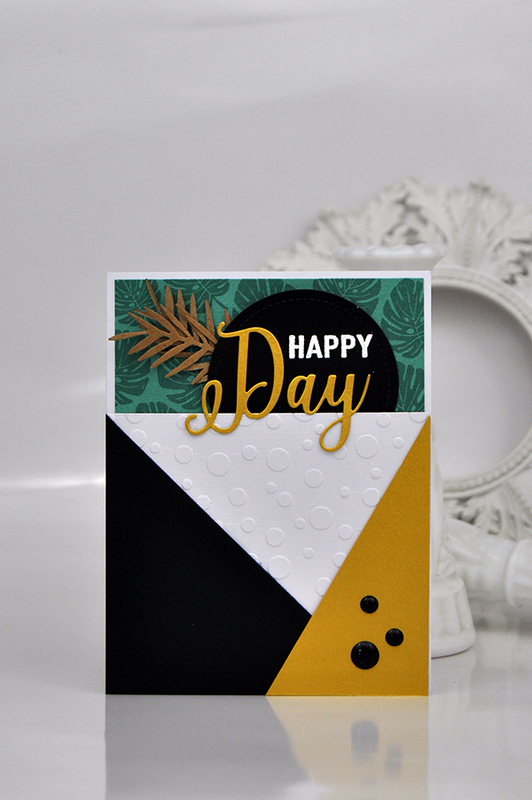 This creates a peek-a-boo effect for the white embossed cardstock. Here's a closer look at the card. 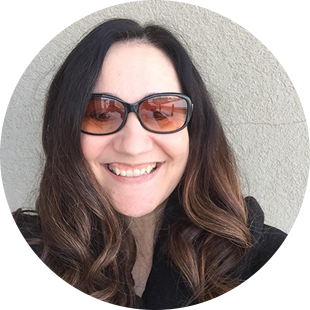 Don't forget to pin your favorite images for inspiration later!